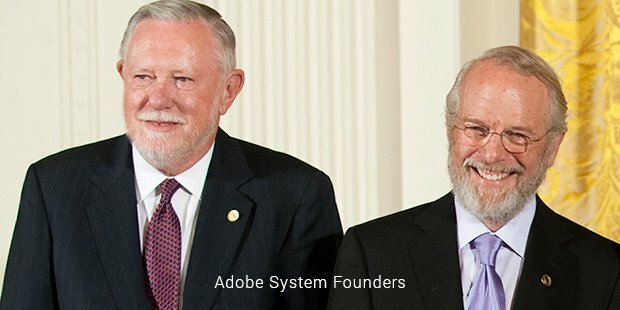 Adobe Systems was founded by John Warnock and Charles Geschke in 1982. The founders were part of the Research team at Xerox Corporation which they left to open their new company. Their first product was the ‘PostScript’ software which was a powerful computer language that described to the printer the layout of the electronic page. This was a breakthrough product in the technology Industry. In 1985 they had collected $1.9 million in sales. With this product laser printing became a reality and this was a must have device for the advertising industry. This language was used extensively by professional publishers, corporations and the U.S. Government. In 1986, their revenues had touched $16 million out of which their income was around $4 million. Next they introduced the Type 1 typefaces providing digital type fonts which could be printed at any possible resolution. This was another game-changing product that Adobe had released. Soon more than 14,000 character sets were developed by vendors which Adobe included in its library. Next they introduced a stunning product called the ‘Adobe Illustrator’. This software allowed users to create high-quality drawings which could be easily printed or published. Their Type library had very soon become the world’s largest collection of typefaces for personal computers. In 1988, the company posted revenues of $85 million, more than double that of last year. 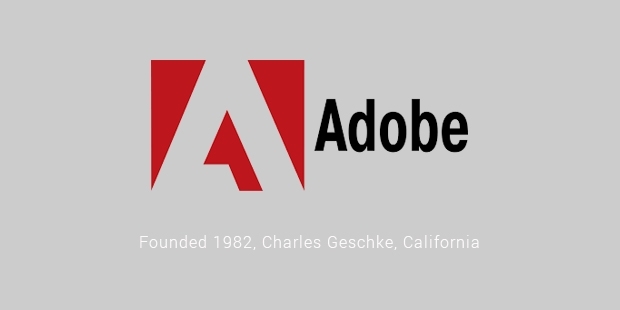 It was evident that Adobe was growing at a fast rate. The company was always dependent on its R&D department to come up with new software’s which would allow it to keep up its reputation as being one of the biggest software makers in the world. Next they acquired the license for selling a photo editing software called ‘Photoshop’. This again went on to become a bestseller around the world. Adobe met with success with every new release of theirs because of the high level of quality they maintained. In 1990 the company had total revenues of $170 million out of which their net income was $40 million. By 1994 it had increased its revenue to $670 million. But in 1998 the company faced a huge setback as Hewlett-Packard developed its clone of the PostScript software and thus Adobe’s sales and licensing decreased by nearly 40%. Its stock price fell to less than half of that one week ago. Adobe needed to find a solution to stabilize itself before the company collapsed completely. 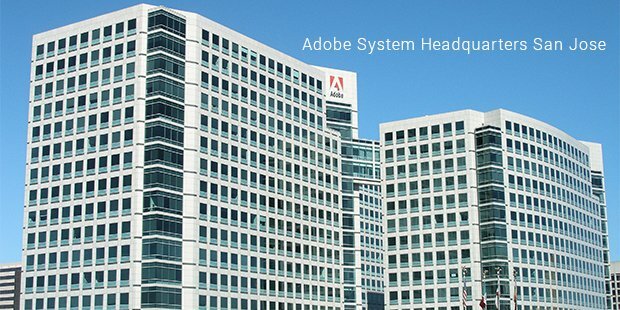 Adobe went on to implement major restructuring by cutting down on the workforce, executive reshuffling and concentrating on niche areas like corporations and businesses. They released a new product called ‘In Design’ which was a high end publishing tool. This software was already being sold by their competitor Quark Inc. and it was a risk that they were taking. But this product surprised one and all to become a huge success signalling the revival of the company. In 1999, within one year they were able to make one of the greatest turnarounds in history and posted sales revenues in excess of $1 billion for the first time. Adobe has grown at a steady pace throughout the next decade with the latest upgrades and best selling products like Adobe Acrobat, Adobe Flash, Adobe Dreamweaver, Adobe PageMaker and many more. By the year 2010, the company reached close to $3 billion in sales revenue. As of 2013, Adobe has more than 11,000 employees and sales revenue in excess of $4.30 billion. This is the story of a company that has been able to grow with the help of the latest innovations and the zeal to become the number one software company in the world.